Here's some very cool technology from Meebo. We'll be experimenting with it here at SMARTCROWD over the next few months. Meebo is an excellent way to instant message and share video and URLs. Participation is welcome. You can copy "the room" to other websites and blogs. So, it's a very open application. (Please note: SMARTCROWD is not responsible for videos, websites, or any text messages posted through this application by third parties). You'll notice we've included a tip jar on the site. 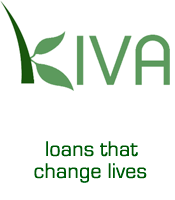 All tips to SMARTCROWD (which are greatfully received and not refundable) will be transferred into the Kiva network, and then recycled back into the Kiva community on repayment of loans. The first transfer of $100, from SMARTCROWD, was made through Kiva to Angel Peralta. Recognize our effort; put your change to work.